Six cylinders and, for the first time, the characteristic kidney-shape grille. 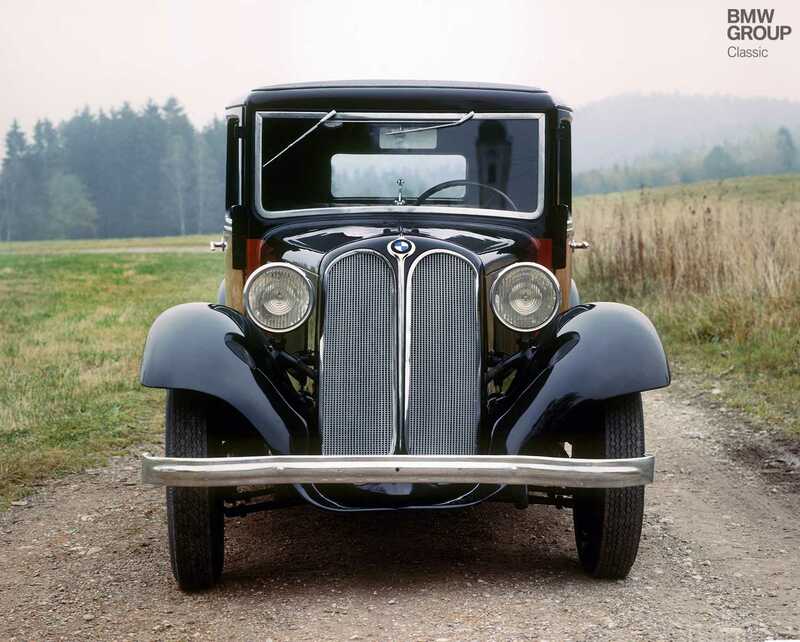 In a number of respects, the BMW 303 was a pioneer for the BMW brand. A touring car version with its lightweight softtop open. This roof had the advantage of being extremely unobtrusive when folded down – just the ticket for fine-weather motoring. The interior of the sedan, which could accommodate four occupants, was very much in keeping with the style of the times. 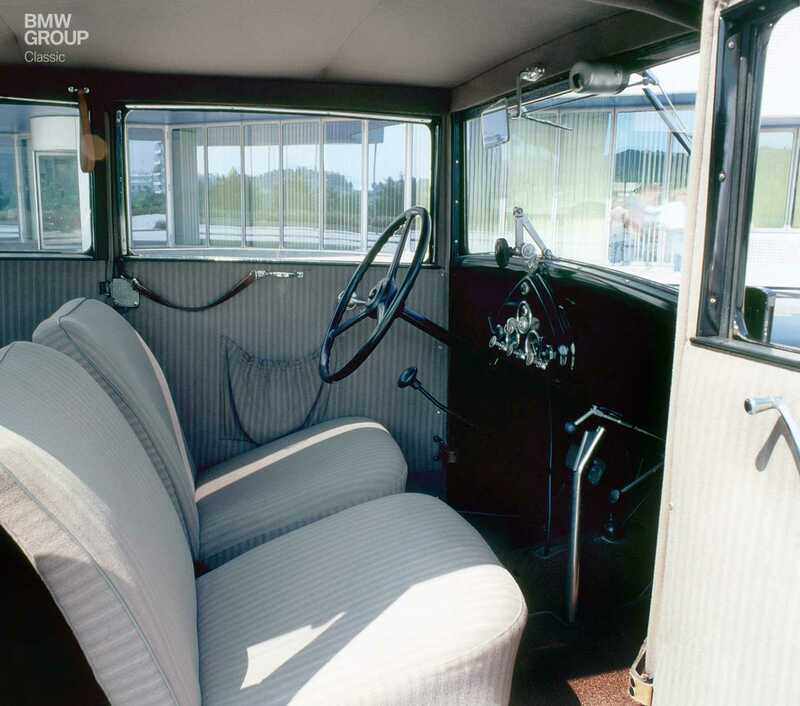 The wipers were fitted at the top so the windscreen could be pivoted outwards at the bottom by turning a handle. 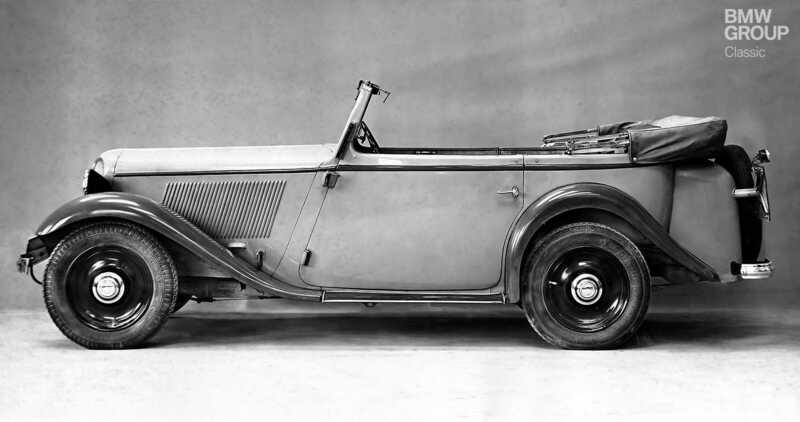 The BMW 303 was extremely ambitious in terms of engineering. Its six-cylinder engine was exceptional for its class. And with a two-tone paint finish, as shown here, it cut a particularly handsome and exclusive figure. The Great Depression, mass unemployment and political upheavals defined the late 1920s and early 30s. With most people unable to afford a car of their own, it was hardly the best of times for vehicle manufacturers. Nevertheless, with its motorcycles and small cars, BMW was better placed than many to adjust to the new landscape of austerity. The BMW 3/15, developed on the basis of the Dixi (a version of the Austin Seven built under licence in Germany), and, above all, the largely new 3/20 of 1932 were jaunty little cars which earned a good reputation. As the keenly anticipated economic upturn was already underway when the new BMW 303 was launched, the new car could afford to set out its stall as a more ambitious model. A particularly striking feature of this all-new design was the engine, a straight six with displacement of only 1173cc and two side-mounted carburettors. No other manufacturer had anything like it in this class. Smoothness and power delivery are the factors that clearly distinguish a six-cylinder engine from others with the same displacement but only four combustion chambers. Its mass-balancing ability is noticeably superior and it offers greater smoothness and torque with the same power output. This advanced engine made the BMW 303 a decidedly lively performer compared with the competition. A kerb weight of 750 kg and output of 30 horsepower were good for a top speed of 90 km/h (55 mph), while the visually identical BMW 315, launched just a year later with an engine uprated to 1.5 litres and 34 hp, broke the 100 km/h (62 mph) barrier. At the time, this was the magic figure that would secure a place in the pantheon of automotive excellence. Another unusual feature of the 303 was its newly designed chassis with light, tubular steel frame, which created a template for later models – including some that would compete in the Mille Miglia. Chief engineer Fritz Fiedler, who had just joined BMW, added new axles, a sumptuous suspension set-up and direct rack-and-pinion steering to create the first genuine “driver's car” in BMW history. The company has not looked back since. 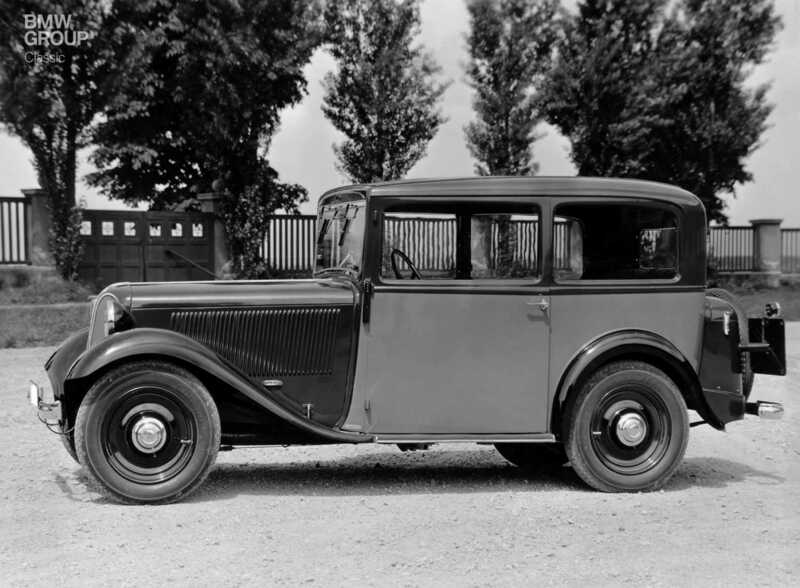 The first public appearance of the BMW 303 was as a prototype at the Berlin Motor Show in February 1933. Deliveries began in April. Like all BMW cars, it was built in Eisenach with the bodies for the hard-top versions supplied by the plant in Sindelfingen. The 303 was available from the factory as a sedan, a convertible-sedan, a four-seater convertible, a two-seater sports convertible, a touring car or a chassis to which customers could add their own choice of coachwork. As prices started at 3,600 reichsmarks for the two-door sedan, the BMW 303 was clearly only for the comfortably off. But increasing numbers of people once again found themselves in that fortunate position. This was the first model to have a radiator grille with the characteristic kidney shape, to be associated forever more with – above all – sporting prowess and performance. In 1934, just a year later, the 303 was succeeded by the 315, whose increased displacement appeared a better fit. The 309 added a four-cylinder version to the range – to appeal to those customers who still missed the proven 3/20 model dropped from the line-up in 1934. Taking all body versions into account, some 2,300 units of the BMW 303 were built. It goes without saying that BMW 303s are thin on the ground today, and the car represents a very special find. It stands apart from most other pre-war classics as identifiable – even from afar and even by non-specialists – as a BMW. Provided they see it from the front, of course.